Does the real Italian deal still exist? Si, si! 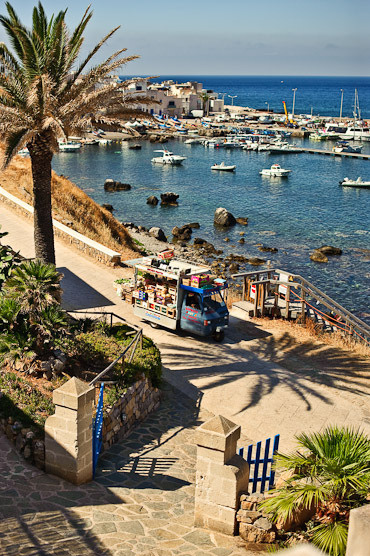 You just need to pack your bags and head to the direction of unknown and Mafia reputated West-Sicily to board an aliscafo that will whisk you away from one charming island to another. Welcome to the Isole Egadi, three minuscule freckles in the sun-tanned face of the South of Italy. 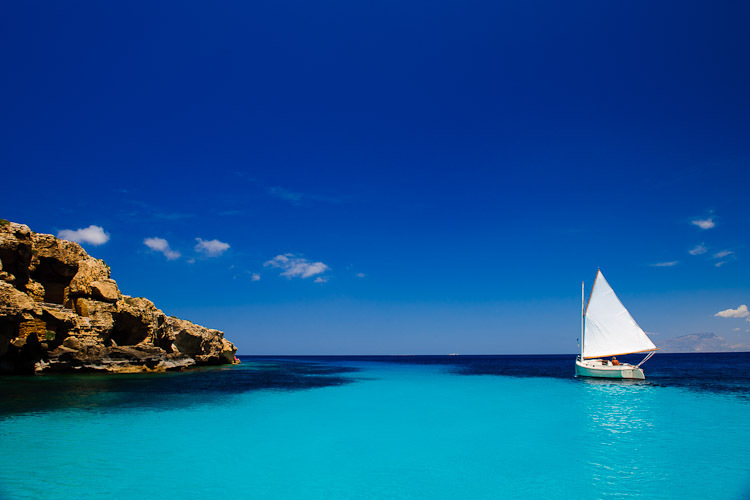 So far, only local Italians who fill up the island in July and August have discovered these three Mediterranean pearls. If you go during these months, weapon yourself against plenty of Speedo and mini-bikini on Piaggio parades and lots of dolce far niente. The other months during the year, this is a blissful haven of silence, space and good food. Favignana is the biggest and famous one. Although big is an overstatement if you know that the Egadi Islands barely have 4500 inhabitants of which the majority can apply for a free senior travel card. 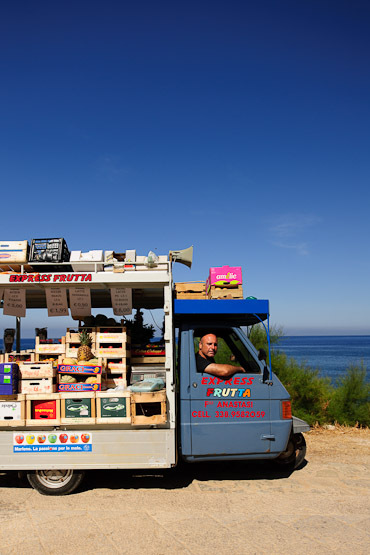 Our favourite is Marettimo with only a handful of cars and one quirky and overly charming hotel called Marettimo Residence. Fausto, the charismatic owner, greets his guest at the aliscafo while sitting in his golf cart, together with Yorki, the dog of the house. 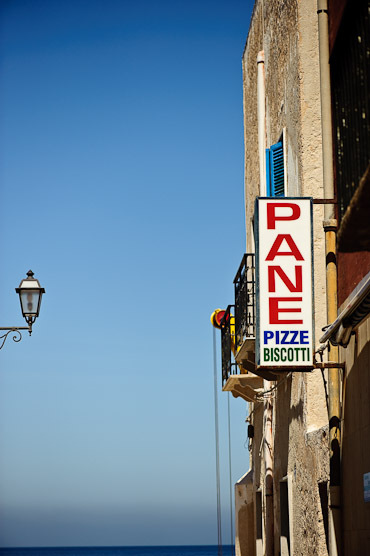 Hungry of absorbing all this Italian charm? Head to il Veliero, a Slow Food approved restaurant where you will eat the best seafood while sitting in the most kitchy décor, hand-painted shells included. 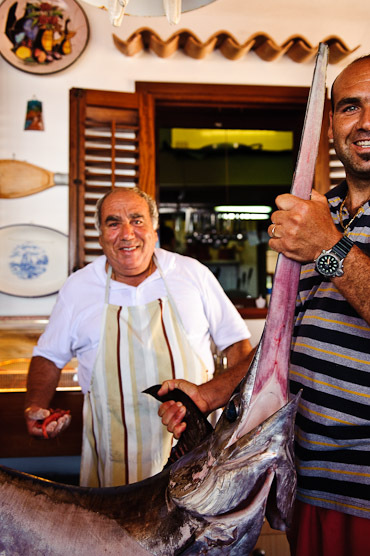 Try the spaghetti rotti in zuppa di aragosta, or il cuscus di pesce alla trapanese, all prepared by two generations of the Bevilacqua family. Wash it all down with some Grillo Parlante, 100% made in West-Sicily and perfectly suitable for summery and very hot days.